An Argentinian magazine has reported that doctors have given Noah a 90% chance of beating liver cancer. Michael Buble's son Noah is set to undergo chemotherapy for liver cancer in the United States, an Argentinian magazine has reported. It's said that doctors have given the toddler a 90% chance of beating the disease, when he completes four months of treatment. The diagnosis came after the 3-year-old was taken to the doctor in Argentina with a suspected case of the mumps at the end of last month. Mother Luisana then flew to the US with the toddler for a second opinion, and doctors there confirmed it was cancer. The couple shared the news with the world last week saying, "We are devastated about the recent cancer diagnosis of our oldest son Noah who is currently undergoing treatment in the US." The couple have cancelled all their work commitments to be with their son. 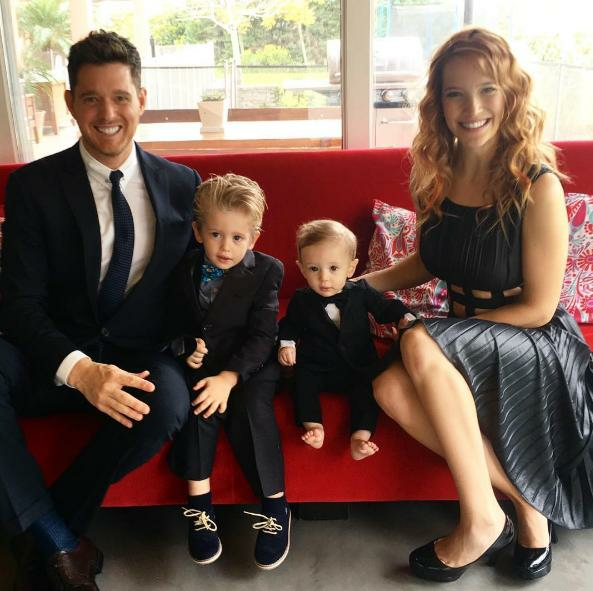 Michael Buble: "Who I Am, Is Noah's Dad"